It was a cold morning when the two friends were bundled into their camera bag home and placed carefully in the car. Day’s like today made Croc miss the warmth of the tropics. He had lived in the UK for 2 years now and he still wasn’t use to the colder months. He snuggled closer to Bertie hoping to steal some warmth. Bertie, by contrast, was excited as always to be going on an adventure. He peeked his little button nose out of the bag, much to Croc’s disgust – letting in far too much cold air! It took ages to arrive at their destination. They had been travelling up and down the winding country back roads with lots of stopping in passing places. The roads are too narrow to fit two vehicles down at the same time so whenever they met someone coming the other way they would have to find a passing place to pull in so they could pass each other. The wet mud splashed at the side of the car and Croc decided that today it would be better to stay inside in the warmth than be crazy enough to go out and about. When they finally got to their destination Croc had started to doze dreaming about his lovely warm radiator. He soon woke up when they were promptly pulled out of the bag and placed on a sign. They took the opportunity to have a quick snoop at where they were. There was a massive lake in front of them. Croc peered over the edge of the small wall they had been placed on. He quite liked the autumn colours of the UK. It was something they didn’t get in the Northern territory of Australia. While Croc took in the view Bertie read about where they were from the notice board they had been placed on. They were at a Reservoir. Bertie explained that this is where the water people store water. It seemed like a very good place to store water, thought Croc. This reservoir stores enough water for 200,000 homes, read Bertie. Both friends looked at each other in shock. 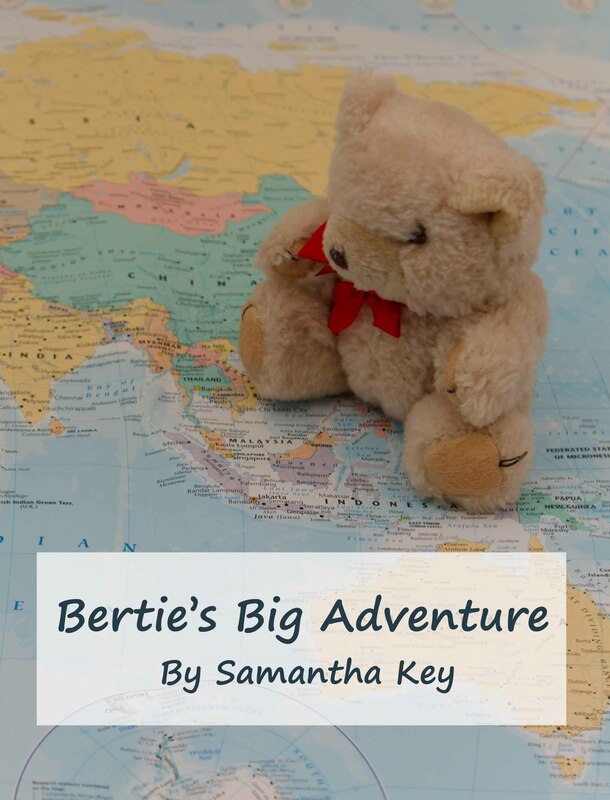 Bertie began to feel a little worried. He hoped they weren’t going to walk all the way round the reservoir as it was very, very cold (his nose was already turning blue!) and it looked like a long way! The two friends didn’t need to worry. They weren’t going all the way round the reservoir they were going to find some hidden history. I wonder what they find here? Thanks Liz 😊 the adventure has only just begun!